The Ocean master 34 is well known for its rugged construction and incredible dry ride. 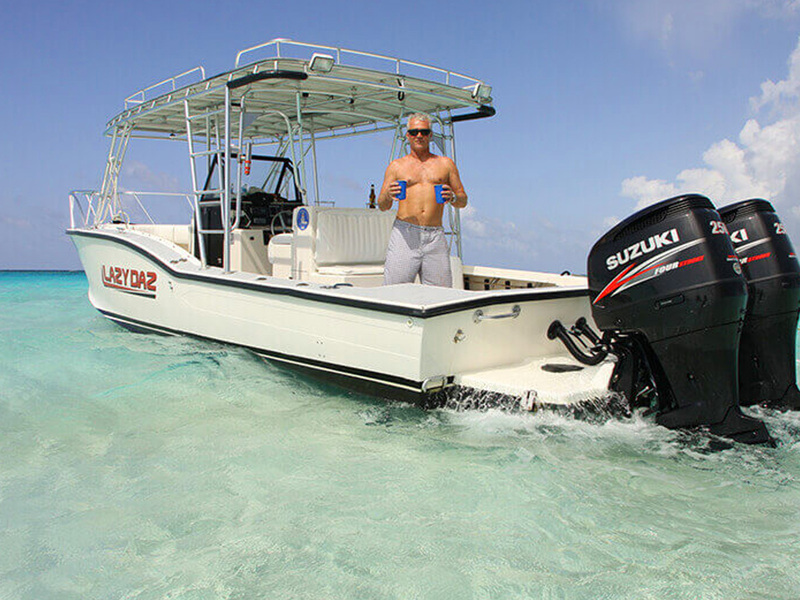 This vessel is powered in 2015 with twin 250HP Suzuki engines and has all electronics. With its 40 MPH cruise you can get anywhere quickly. She has 20' of hard top shade which will provide a large group of people with shade during those hot days on the water. 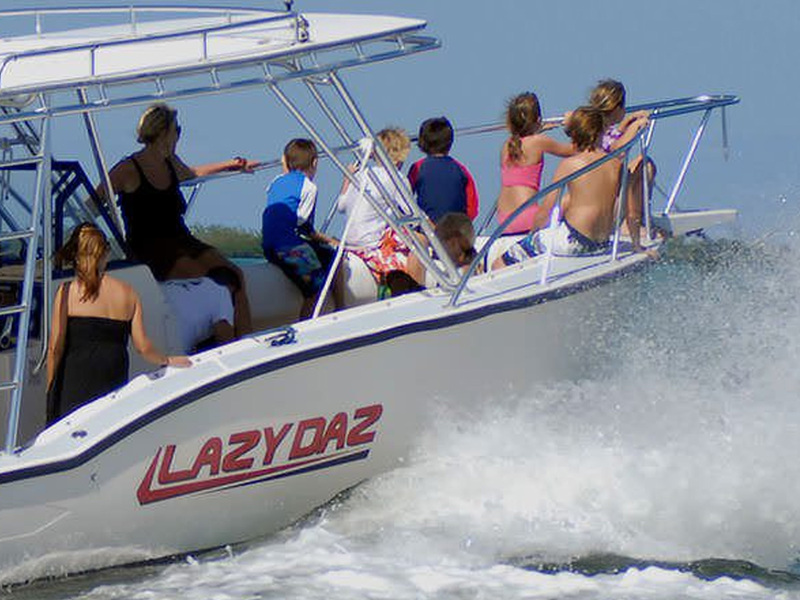 For your convenience the boat is equipped with a marine bathroom and sits up to 15 guests comfortably. 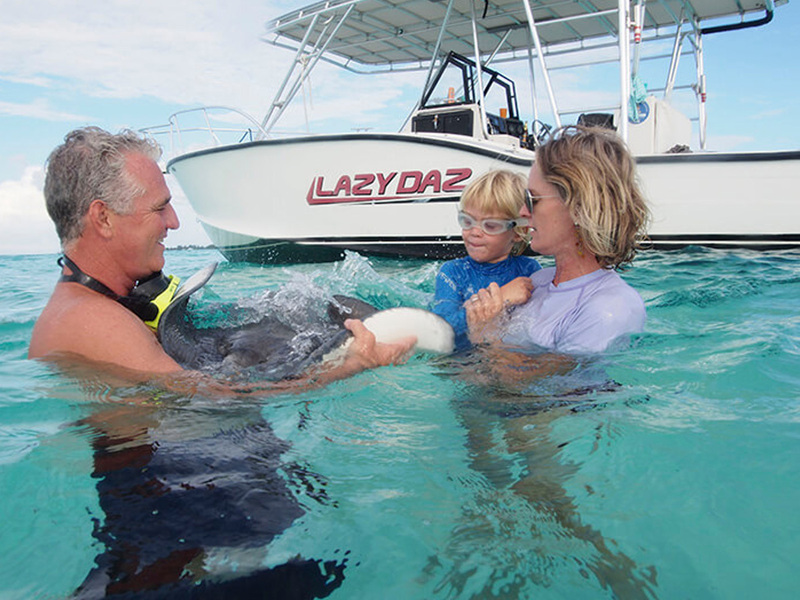 This vessel is ideal for exploring the North Sound lagoon with all its amazing snorkeling spots, stingray tours and even visiting the many available restaurants that are located on the water with their own docks. This vessel can be rented by the hour during the day (min 4 hours) or for a Sunset cruise (2 hours) or choose from several recommended packages. This 2 hour trip from 5 to 7PM will take you around the North Sound Lagoon with its calm, crystal clear waters. Includes: soft drinks, cooler space, plenty of ice and music, plus captain. Alcoholic drinks can be provided at cost or bring your own! 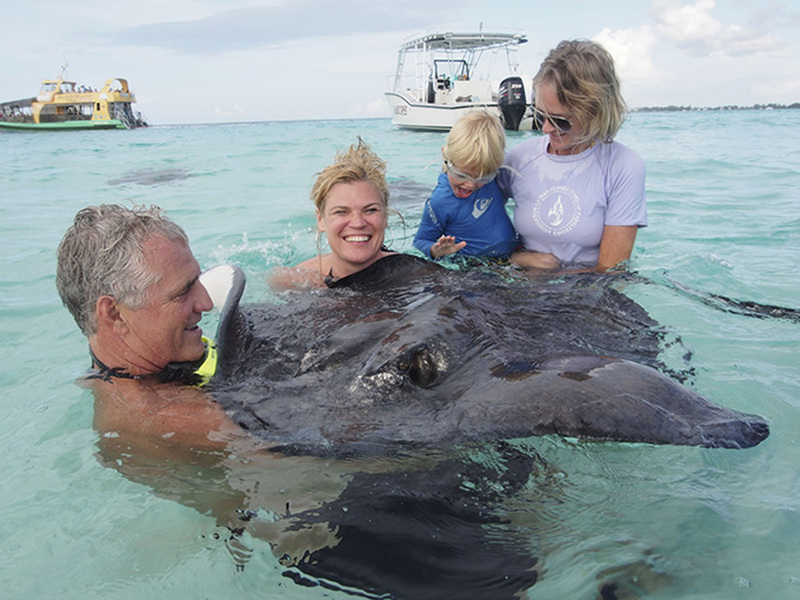 This 3.5 hour trip includes 3 stops: 1/ a visit to the Stingray City sandbar at a time there will be no other boats (sunset). 2/ Next stop is the barrier reef and entering the crystal clear waters at dusk, we will experience nocturnal sea creatures, and marvel at the illuminated corals and sea fans. Everybody will be armed with a high powered LCD underwater flash light. 3/ Back on Board we aim for Bioluminescence Bay, which is one of only 12 Bio Bays Worldwide, where we will Experience the Mysterious Marine Light Display demonstrated by your captain. You too will be able to experience this strange phenomena first hand, just let you captain know and he will offer a floating noodle to lounge around in these mirror flat waters. Includes: soft drinks, cooler space, plenty of ice and music, plus captain. Alcoholic drinks can be provided at cost or bring your own! This 4 hour trip will take you to any of our amazing snorkeling spots in the North Sound Lagoon with its calm, crystal clear waters. This 4 hr trip usually includes 3 or 4 different stops. 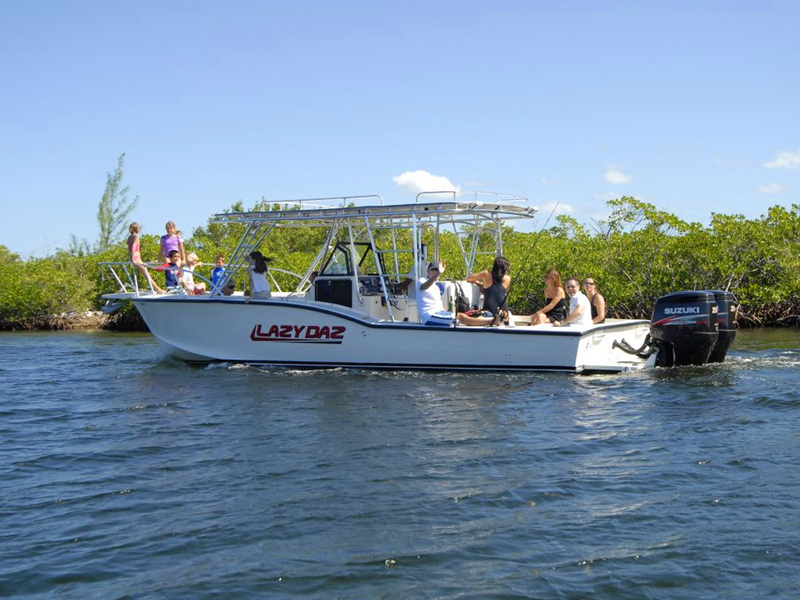 Includes: We provide all the snorkel gear soft drinks cooler space plenty of ice and music, plus captain. Alcoholic drinks can be provided at cost or bring your own! This 4 hour trip will take you to any of our amazing snorkeling spots in the North Sound Lagoon with its calm, crystal clear waters. This 4 hr trip usually includes 3 or 4 different stops. 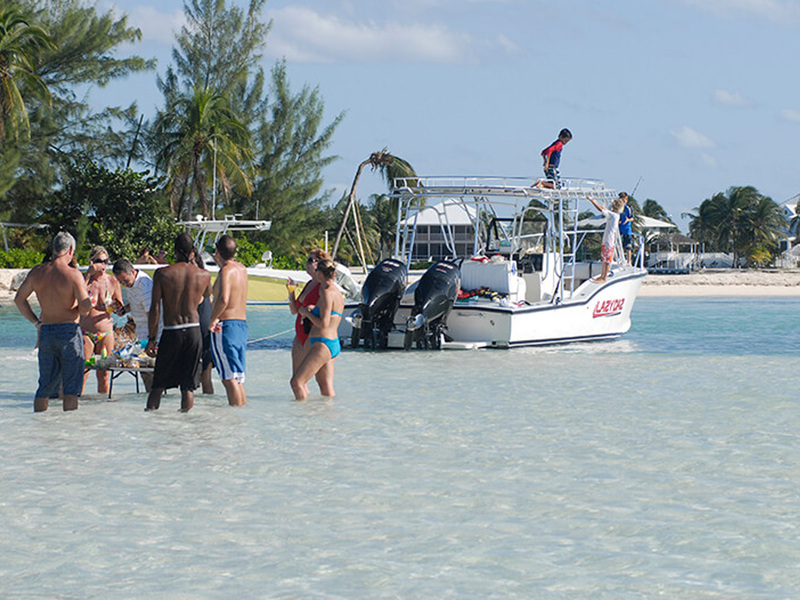 Includes: We provide all the snorkel gear soft drinks cooler space plenty of ice and music, plus the captain. Alcoholic drinks can be provided at cost or bring your own! This 7 hour trip will take you to any of our amazing snorkeling spots in the North Sound Lagoon with its calm, crystal clear waters. This trip usually includes 5 or 6 different stops. We can also stop at one of the beach restaurants like Rum point or Kaibo for lunch (lunch not incl.) 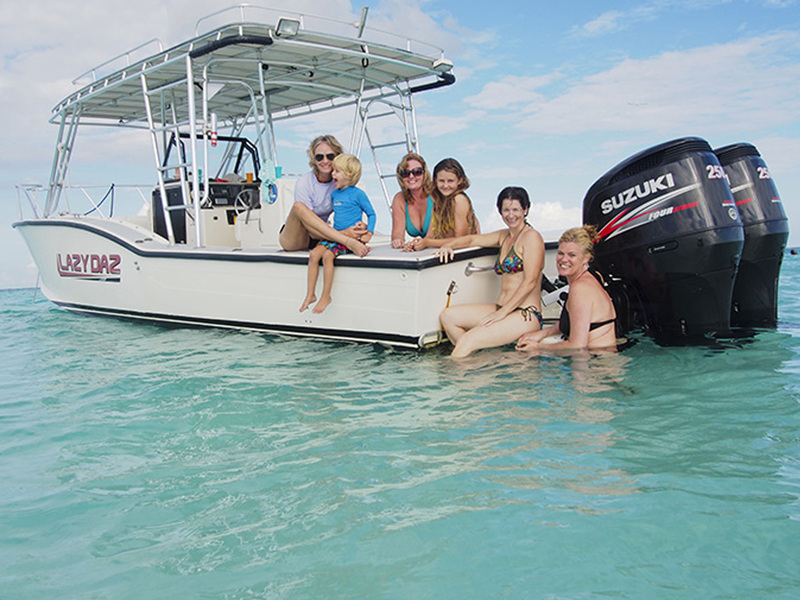 Includes: we provide all the snorkel gear, soft drinks, cooler space, plenty of ice and music, plus captain. Alcoholic drinks can be provided at cost or bring your own!